Hey beauties! 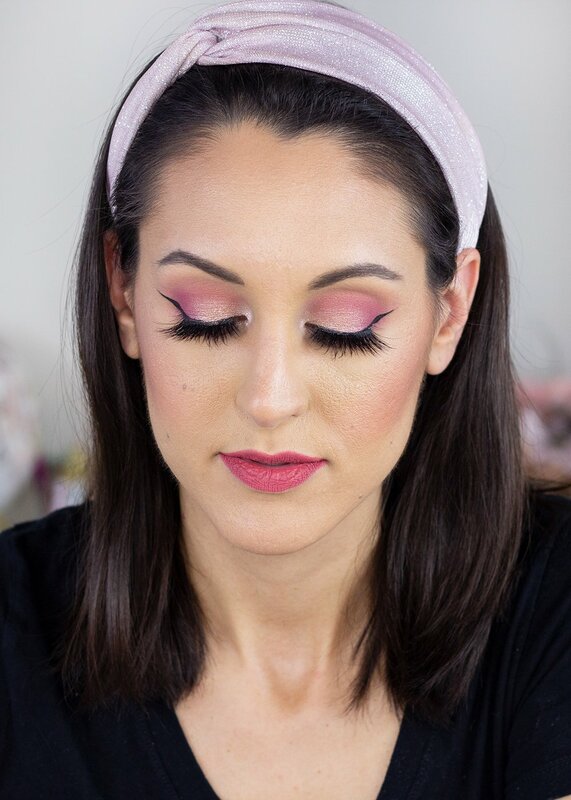 If you’re a lover of all things pink, today’s review is one you probably don’t want to miss. 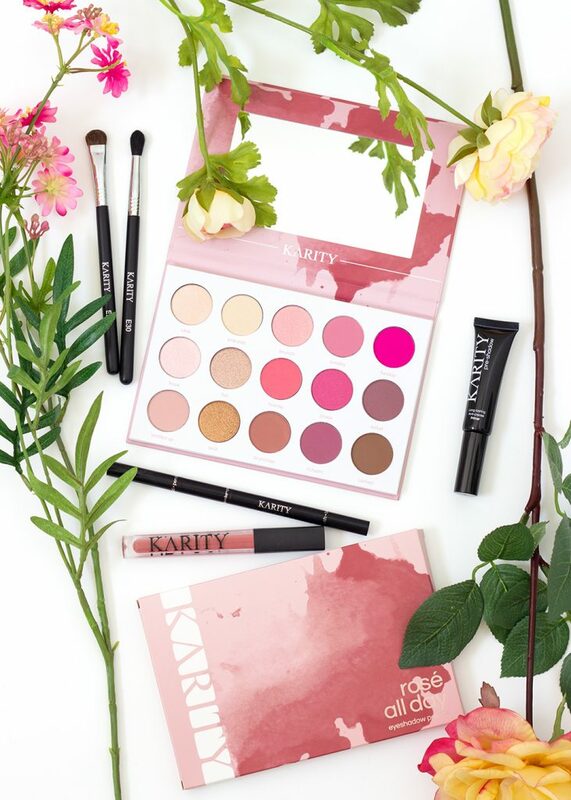 Karity ever so kindly sent me their newest and most spectacularly girly eyeshadow launch – the Rosé All Day Palette – for consideration. After a few weeks of testing and playing I’m ready to report back all of my thoughts! 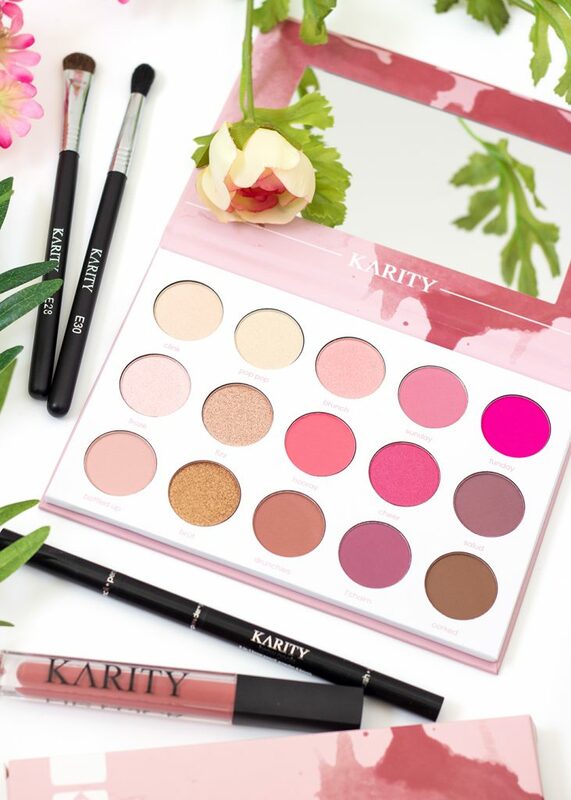 Outside of the diehard beauty community, Karity is one of those lesser-known brands that’s probably deserving of a lot more attention! 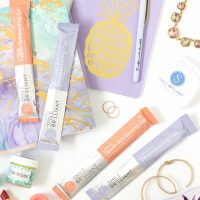 They’re a cruelty-free, online retailer of color cosmetics with an insanely reasonable price point. 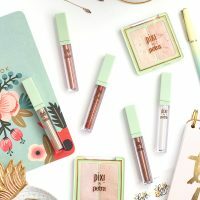 The brand has been quickly expanding their offerings, recently adding brow pencils and liquid lipsticks to their already fun, artistry inspired lineup. 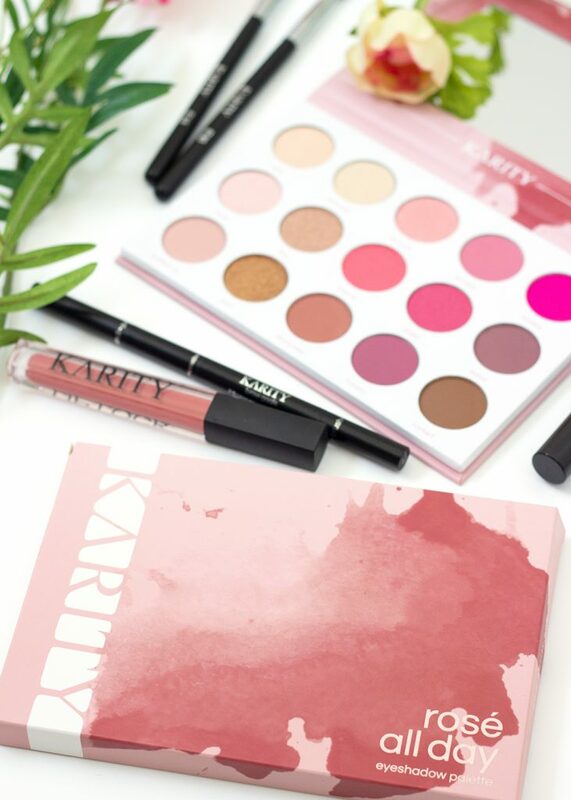 The Karity Rosé All Day Eyeshadow Palette pays homage to so many people’s favorite boozy pink beverage. 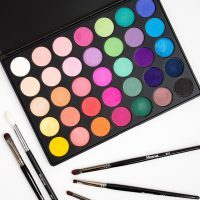 It contains 15 different shadows – ranging from neutral creams to a vibrant fuchsia – in matte, metallic, and shimmer finishes. 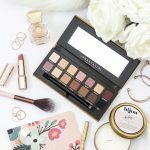 The palette is both cruelty-free and vegan, free of parabens, and retails for $19. As is to be expected with affordable brands, the packaging of this palette is cute, but not anything super luxe. It’s made of your standard laminated cardboard and has a magnetic closure. There is a decent mirror inside, which is always a bonus if you’re planning on traveling with this palette, however it won’t stay propped up on its own. I appreciate that there isn’t a lot of wasted space in the palette, and that the shade names are written directly below each shadow. 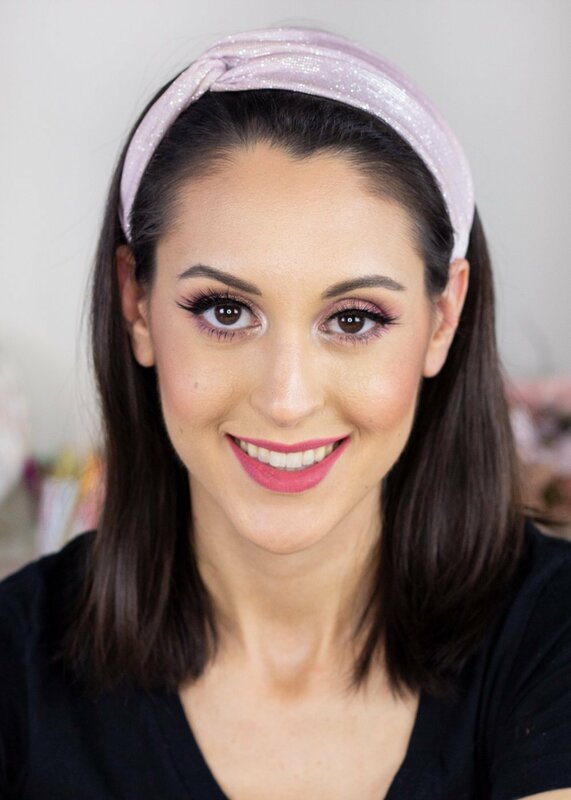 This is always helpful when filming or following along with tutorials so you can know exactly what shades are being used. The shadow pans are also decently sized, with the entire palette weighing in at 19.5 grams (1.3 grams per shadow). For reference, Karity’s single eyeshadow pans contain 1.5 grams of product, so each shade in this palette is almost full-sized. Even though this palette does have some neutral shades to help anchor it, Rosé all Day is still a predominantly pink palette. 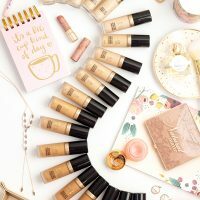 I actually think the color story is pretty fun and offers something a bit different from all of the warm-toned neutral palettes that have been popping up all over the place. I especially appreciate that you get a few super vibrant pops of color that can be used to intensify your look. 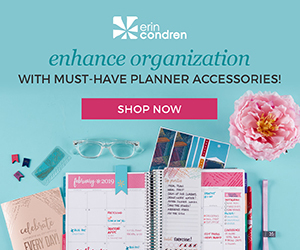 Whether you want something soft and daytime wearable, or something über glam and insta-worthy, I think this palette will serve you well on both fronts. 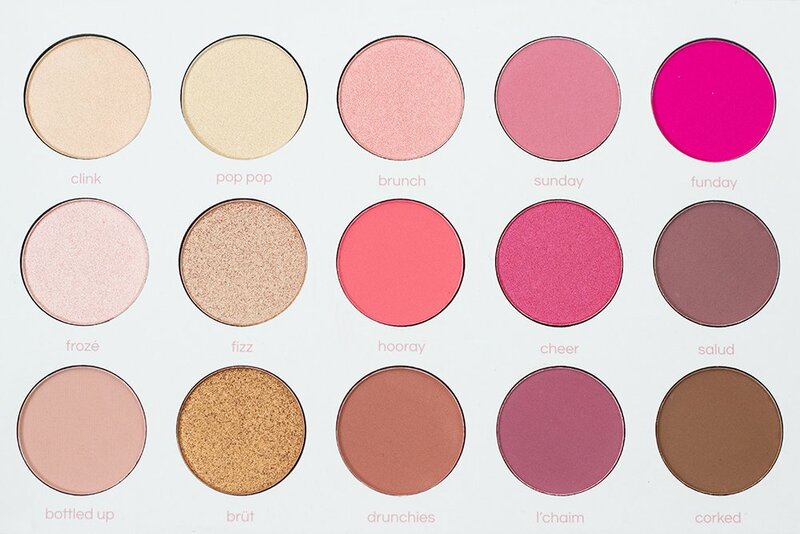 The one thing I do think this palette is missing is a dark matte shade. Corked could still be considered a mid-toned brown, and doesn’t pack enough of a punch to really create dimension in a look. Considering how similar the shades Clink and Pop Pop look on the eyes, I would happily traded one of them for a deep chocolate brown. As far as finishes go, I also think this palette is pretty well balanced in terms of the number of mattes (8 total) versus shimmers (7 total). 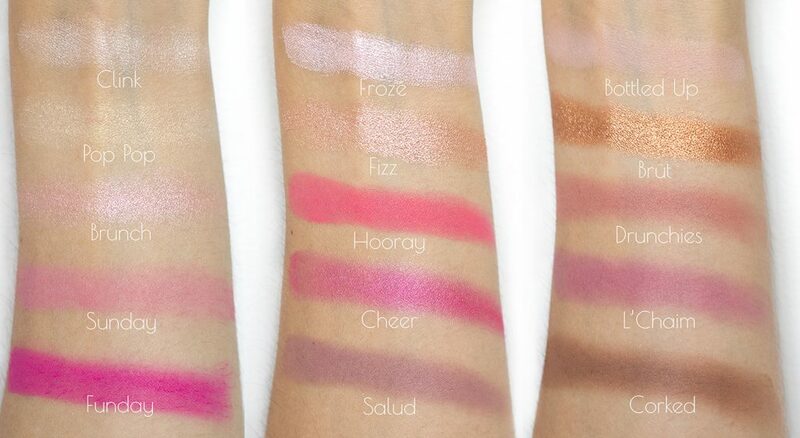 Not all of the shimmer shades are created equal, however, as we’re about to see in the swatches below. My overall biggest complaint with this palette is that I feel like there are inconsistencies in the formula of the shadows. Some of the mattes are beautifully smooth and pigmented, others are a bit more stiff and take some work to build up. Sunday in particular was probably the most disappointing performance-wise, which is a shame because I absolutely LOVE the color itself. On the shimmer side, Brüt and Fizz are incredibly rich and creamy, while Clink, Pop Pop & Brunch impart just a sheer wash of shimmer. Perhaps this formulation difference was intentional, as not everyone enjoys a blindingly metallic shade on their eyes. However, I would have preferred at least one of the lighter shades to pack more of a punch, so that I could use it for a proper inner corner highlight. With a wet brush or some glitter glue you can get more out of these shimmers, however I would have been happier had they performed a bit better on their own. In terms of longevity I was pleasantly surprised by the wear time of these shadows. My eyelids are not particularly prone to creasing so this was not an issue for me, but I also didn’t notice a significant amount of fading though out the day either. 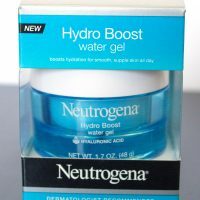 I would definitely still recommend applying these shadows over a primer or base of some kind to give them the most lasting power possible. 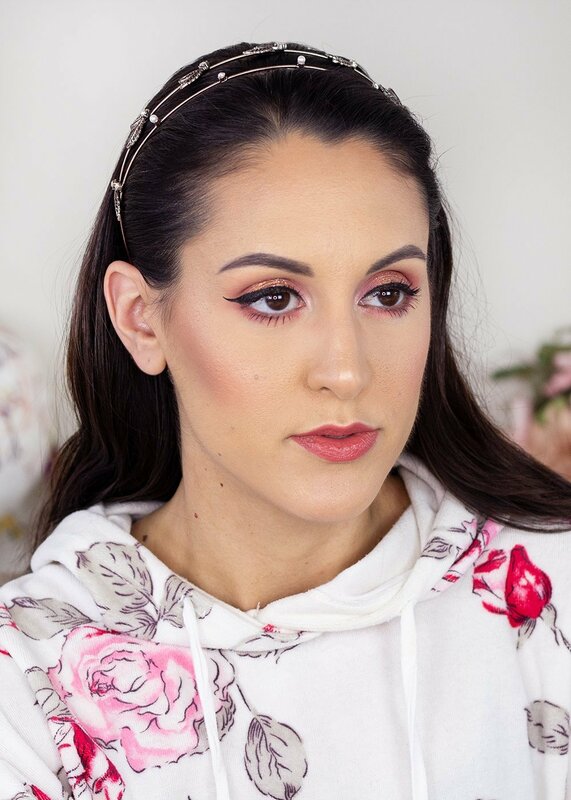 One of my biggest takeaways from having played around with this palette a bunch is that, while I was able to create some really pretty looks, they didn’t end up being all that unique from one another. On the eyes many of the pink shades have a similar appearance, so it’s harder to see a significant distinction from one look to the next. 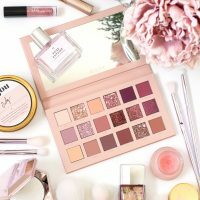 I’m sure that if you push yourself to get super artistic and creative you might have a different experience, but I think for the average consumer, this will be the palette you reach for when you want a pink look. Period. This isn’t inherently a bad thing, it’s really just a matter of your makeup preferences and whether or not a standalone pink palette is something you’d get regular use out of. Conceptually I think this is a really fun palette. I love the whole rosé theme and think that the color story and shade names are a ton of fun. While this palette maybe didn’t knock my socks of quality wise, it also wasn’t extremely disappointing either. 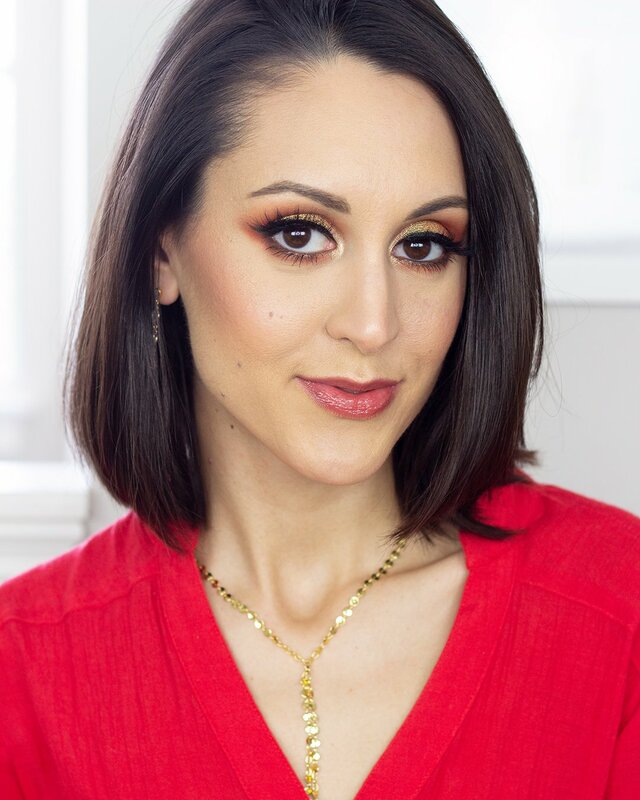 There were some inconsistencies in the shadow formulations, where some shades perform amazingly, and others took a bit more work. 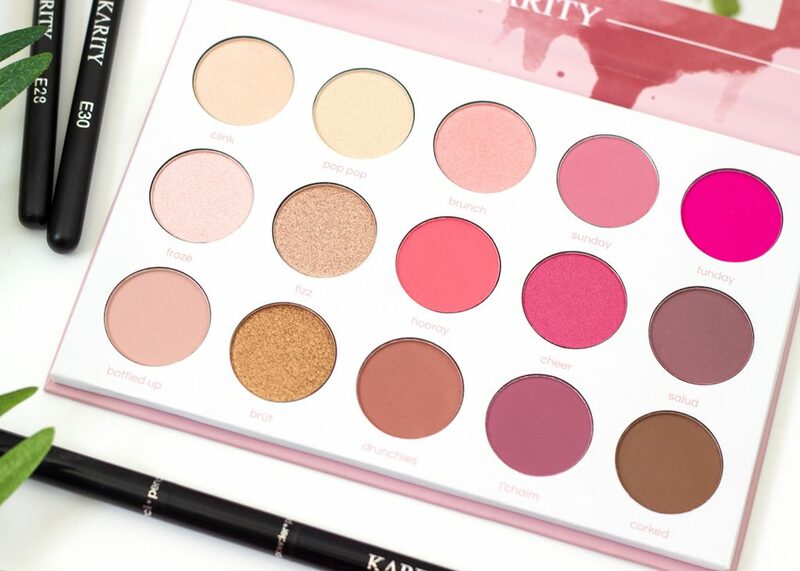 At a $19 price point I’m a little more forgiving of these kinds of issues than I am with a $40 or $50 palette, but I would love to see Karity up their game and knock it out of the park with their next launch. 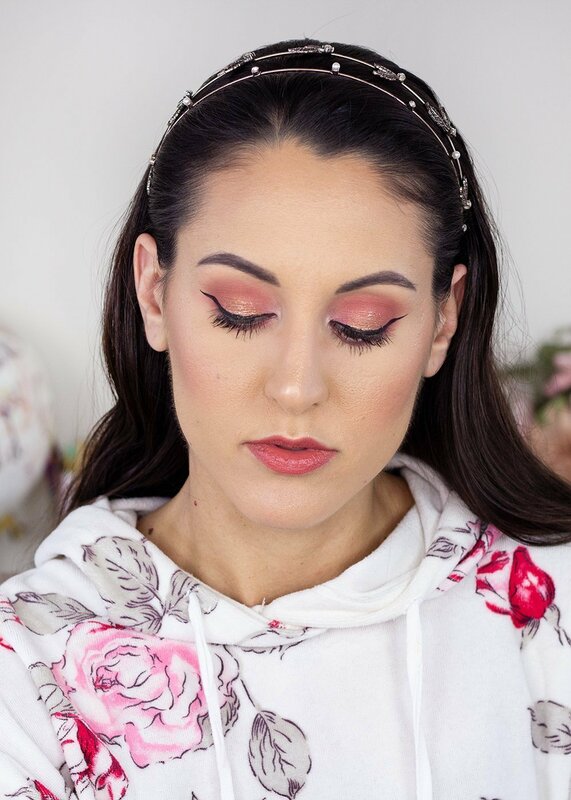 Overall I enjoyed the girly pink looks I was able to create with Rosé All Day, and will surely reach for this palette again when I’m in the mood. 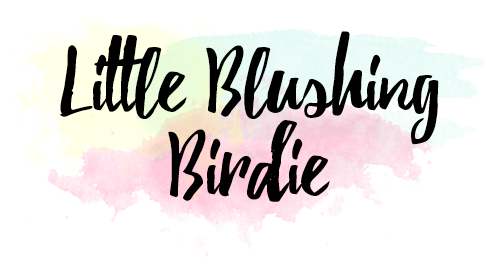 It may not become my next everyday eyeshadow staple, but it certainly is a cheery addition to my collection! Next Next post: At-Home Teeth Whitening: Does it Really Work?